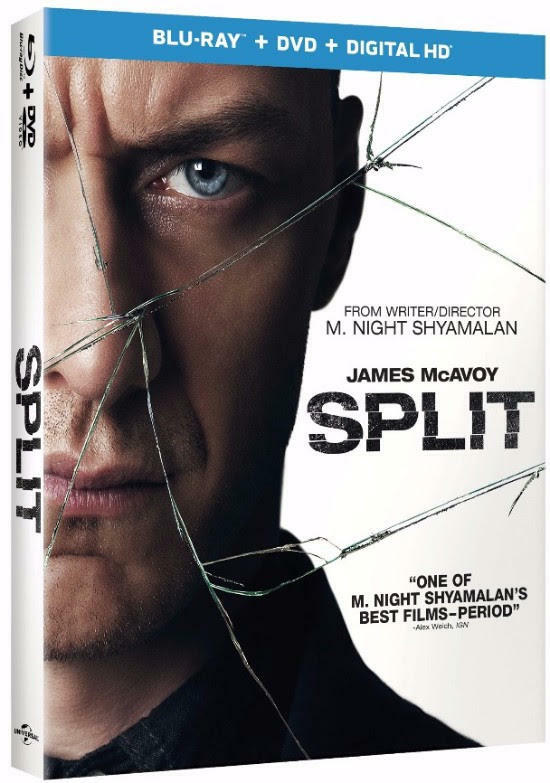 Universal Pictures announced that M. Night Shyamalan’s new thriller Split will be released on home video next month featuring deleted scenes and an alternate ending. 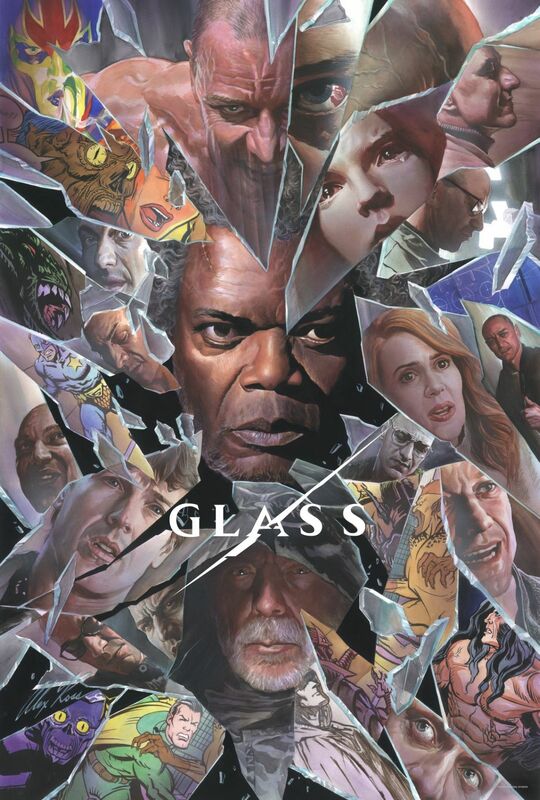 It lands on digital platforms on April 4, with a Blu-ray/DVD release scheduled for April 18. 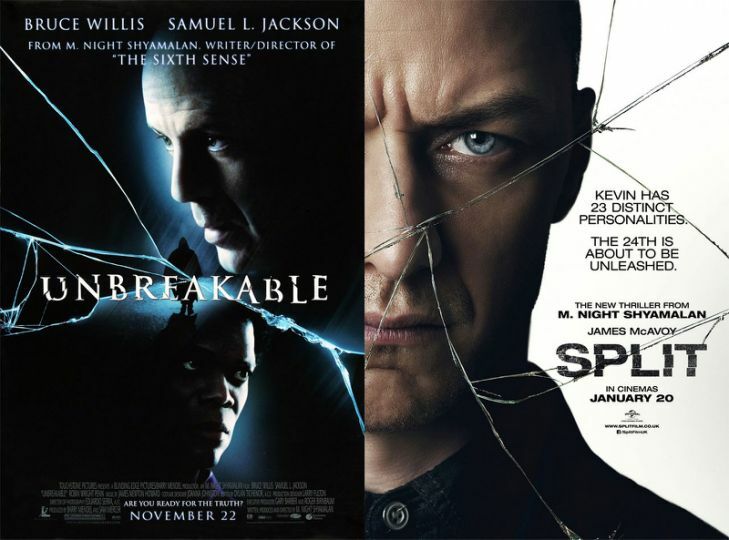 Does M. Night Shyamalan Want To Make Unbreakable 2? 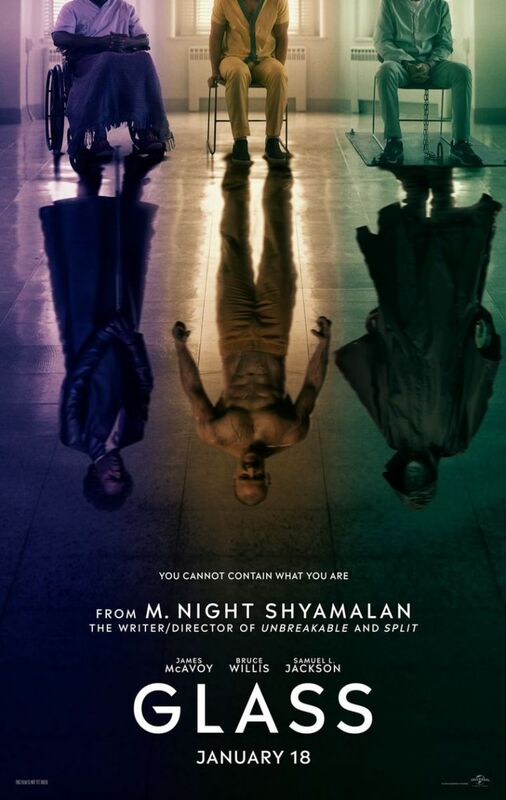 M. Night Shyamalan’s Split is now out in theaters, and fans are buzzing about the film’s big twist ending, which reveals that it’s a supervillain origin story set within the same universe as Shyamalan’s 2000 film, Unbreakable. 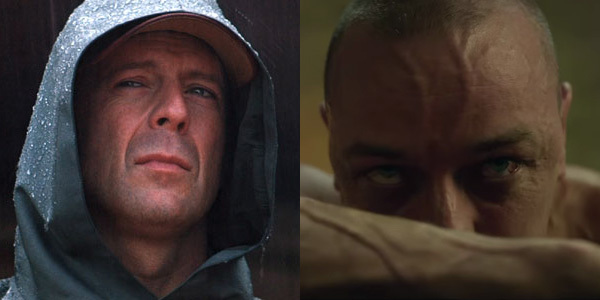 So it looks like Unbreakable 2 will be a go and potentially his next movie! THE FIRE WIRE will keep you updated on the status of the film’s production. 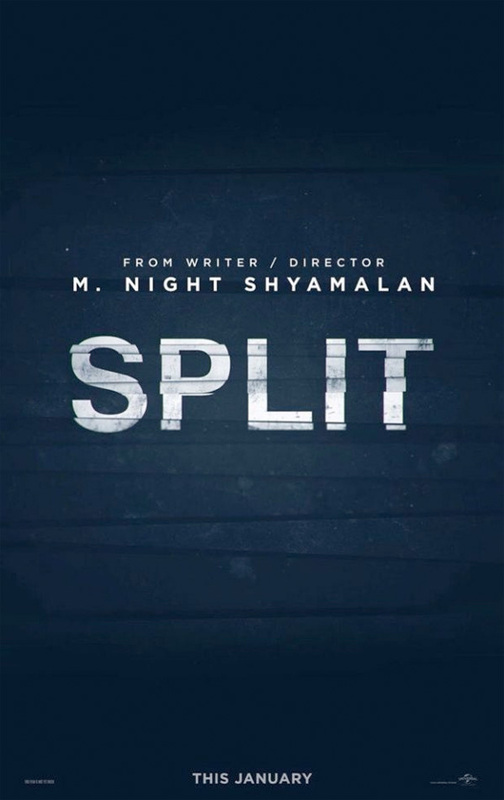 Universal Pictures has revealed the first trailer for Split, the latest chiller from director M. Night Shyamalan. 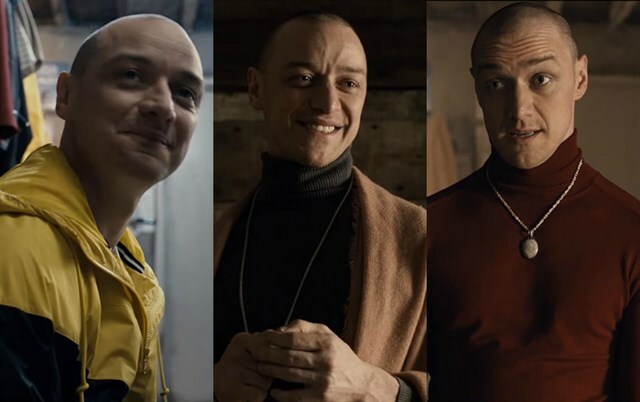 Split is set to open in theaters January 20, 2017. 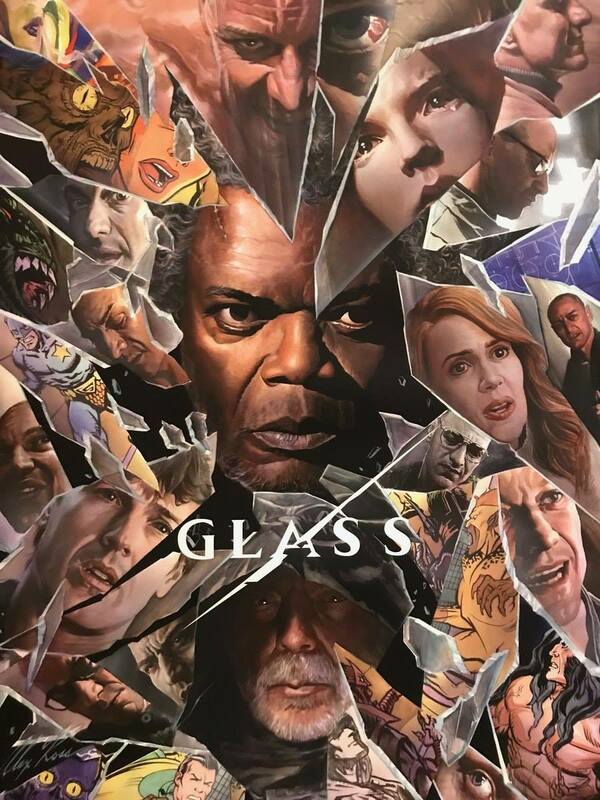 The first trailer has just been released for The Visit, the latest from The Sixth Sense, Unbreakable and Signs writer and director M. Night Shyamalan. The Visit tells the terrifying story of a brother and sister who are sent to their grandparents’ remote Pennsylvania farm for a weeklong trip. Once the children discover that the elderly couple is involved in something deeply disturbing, they see their chances of getting back home are growing smaller every day. 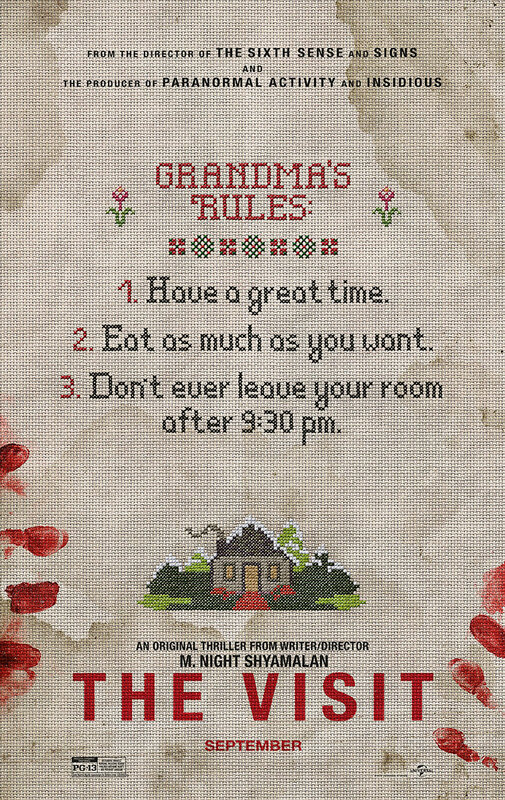 The stylish teaser poster for the release offers up three of “Grandma’s Rules”: 1) Have a great time; 2) Eat as much as you want; and the ominious 3) Don’t ever leave your room after 9:30 pm. The film stars Kathryn Hahn (Tomorrowland, The Secret Life of Walter Mitty), Ed Oxenbould (Julien, Alexander and the Terrible, Horrible, No Good, Very Bad Day), Deanna Dunagan (“Unforgettable,” Have a Little Faith), Peter McRobbie (“Marvel’s Daredevil,” Lincoln) and Olivia DeJonge (“Hiding,” The Sisterhood of Night). Produced by Jason Blum and Blumhouse Pictures, The Visit hits theaters on September 11, opening opposite Screen Gems’ The Perfect Guy, Sony Pictures Classics’ Coming Home and Open Road Films’ Triple Nine, John Hillcoat’s crime drama ensemble.